Want to support the owl box? Visit Carlos and Donna Royals Cafe Press store! Is there someway to search for my order? I ordered a mug and mouse pad, and wonder when those were going to arrive at my house. I tried to buy a Molly mug, but it wouldn’t bring up the page to order. Are you out of mugs? I’ve tried to order a mug and e-book. It wouldn’t bring up the ordering pg. I did order the e- book BUT don’t have any idea how to access it. I’d also like to order the hard cover bk. I have a recipe I would like to donate to your cook book, where do I send it? I have a delicious fresh corn recipe called Creamy Crunchy Corn. Cut corn from 6 ears of corn. Heat 1/2 stick of butter. Add corn, 1 tsp. corn meal,and 1 tsp. sugar (white or brown). Sprinkle with salt and pepper. Mix and cover with lid. Cook on medium low 20 minutes stirring a couple of times. Serve and enjoy. I am trying to purchase a cookbook at the transfer it site and nothing I click on for the cookbook give me a place to purchase it. any suggestions? I would like to purchase the cookbook. We have so enjoyed the Owlbox and Molly and Mcgee and family! And of course, Carlos and Donna! Many Thanks! Cant seem to be able to buy merchandise since to ebook. cant get to transferit. Have you stretched your viewing screen all the way to the right? I think you’ll find a purchase button there. I subscribed to eComics back in April but the last cartoon I have received was #16. I can’t find any place on the Tranferit Website to report a problem. I’ve got a recipe too that I want to donate to your cook book….where do I send it? I know the last day is tomorrow but, I can’t find on this site where I should go. I ALSO NEED THE ADDRESS OF WHERE TO SUBMIT A RECIPE TODAY…THANK YOU! Hope you get yours in! She is the one who is compiling the eCookBook. where can one purchase the black owl t shirt? it was gorgeaus. are there plans to have the wonderful hawaiian shirt made and sold? thank you so much for this experience. irreplaceable. enjoy your fledging! Please consider producing that Hawaiian shirt. It’s pretty darn nice! If you are still looking for someone to publish your book, go to http://www.blurb.com Several photography friends use them for their books. Various prices depending on size, cover, number of pages, etc. Volume discounts. It would be worth a look. Thank you for the opportunity to watch Molly, McGee and the kids. It was an awesome experience. I am very interested in buying the hard cover book about Molly. It will be a wonderful gift for my grandson that has watched these owls grow up with me. Carlos I love the photos. Are there any plans to sell a disk with all the photos…or a calendar, it would have to be 18 months, 12 just wouldn’t be enough. I hope you have some plans for the photos. This has been an adventure that I wish wasn’t coming to an end…Thank you, truly. The hardcover book is a delightful bit of news, too. I would be interested in purchasing a hard cover book showing the wonderful artwork in picture form from Carlos showing his amazing photos of the owls. I definitely prefer buying a hard cover book, especially after listening to Eric Blehm and Carlos yesterday talking about it. Didn’t know till then that the hard cover editions would be coming out. Put me down for at least one right now. Everything is moving so fast, but I hope to be able to get more orders. SO FORGET THE FIRST ORDER REQUEST FOR THE PDF VERSION. Thank you for all your wonderful shows….watched it from the beginning….I’m hooked, and hate to see those dear ouwlets turned owls leave us. I wish to purchase some of the Molly jewelry, but i can’t find anywhere to do this. the pictures do not seem to have a working link. can you help me please? thank You. How do I contact Eric to order hard cover books? How do you register a password for “stuff for MODS”? Ive gone several sites and can’t get a reply to purchase molly hard cover book thehttp://www.atkinsonproductions.info/owlbox doesn’t seem to work could you notify me by e-mail thankyou in advance! I’m very interested in the hard cover box. Please let me know where to go to purchase this book. I’m already getting a tattoo of “Molly”” and ya never know, that tattoo could grow over time, just like the babies did. I fell in love with them and want to keep them close to my heart. I’m would like to know why it was cancelled the first time. We are interested in buying a hardcover book with pictures from the beginning of this adventure to the time they all fly away. Also would like calendars. What a GREAT event this has been and still is. I have been trying for days to buy items on the transferit site. I even opened a PayPal account to do so, but it won’t show the link for buying the items. I like the new site for the molly the owl items. Could you please add a mouse pad to that site. I would like the solution to the tranferit site because I want to buy the Molly the e-book and the cookbook. I would like to request more than a 30 minute dvd…how about a set?…smile…I would love to have footage of them swaying and rolling their heads along with the horking up of the pellet…there’s too much for just 30 minutes worth…please reconsider!!!! This was just such an awesome experience and I want to thank you so much for sharing it with the world. Hi Carlos and Donna and Thank you so much. I’ve watched since Feb. and it has meant a great deal. I tried to order a mug but since I’m in Canada there was no option for shipping. Does that mean we in Canada can’t get merchandise? Would appreciate any help you could suggest. Thank you Carlos for the memories, I will never forget this wonderful journey. Please let me know about the DVD that Austin is making and if you ever publish all those beautiful pictures also if you ever live stream the Owl Box again. May God bless you and Donna and all your family. Carlos thank you for all the memories and the wonderful journey I was able to share watching Molly, McGee and the owlets. Please let me know about the dvd that Austin is making also if you ever publish those beautiful pictures and last but not least if you ever open the door to the Owl Box again. May God bless you and Donna and all your family. I am trying to order some merchandise but can’t. Are you out of stock on Tee’s and mouse pads. Just checking out the Molly merchandise. Lot’s to choose from. Do you still have a relationship with transferit.com. I don’t see it listed anywhere. Can we still get the jewelry? How do I purchase the coffee table book? I would like 2 but I do not see how to go about purchasing them. I am not in the chat room or the stream and will not be. Can someone answer my question? Or possibly call me? 619-393-2030 is my work number. Thank you for any assistance you can give me. GOD BLESS YOU ALL. THANKS FOR EVERYTHING. BOX YOU WILL TURN THE CAMERAS ON AGAIN. Hi…can anyone tell me how I can get a copy of the video “Wake Up Wesley” and “The Owlets Watching a Bug”?…those are the two most adorable videos. Hope Carlos and Donna are enjoying a much needed vacation and thanks for sharing the owls lives with us. Thanks to anyone who can help me get a copy of those two videos. I love the poem that was posted on Molly’s Box Blog. However, it is now gone and I was wondering how I could obtain a copy of it. How can I purchase a calendar? Just received my framed owlet in the palm tree and it is SENSATIONAL!!! It is so beautiful that it was approved to be hung in my office (strict standards from the office manager). Carlos – your photography is superb! Thanks so much! CONGRATULATIONS to Eric and Chris on the “Molly the Owl” e-book, which I received today. It is beautifully written and illustrated and captures the heart and soul of this story. It had me smiling and tearing up as I re-lived our shared journey. BIG thanks to all involved! I also received me e-cookbook and the molly the owl e-book it was wonderful! It brought back so many wonderful memories too. I sure miss them, they were such a big part of my life. Thank you so much Carlos and Donna. This may sound like an ‘out-there’ request,but other than the 4owlets picture, I see no pictures of Wesley on the Cafe Press Website…would love a picture of her alone, or a faceplant with Austin is probably impossible…Hope the hot weather there is short lived…Molly and you all are in my thoughts. I just received my Four Owlets print and my Molly mug they are fabulous can’t wait to order more. I have received my ebook but haven’t figured out how or where to download it yet. Can’t wait to see more of Molly and her new clutch. Thank you Carlos for the memories. Wondering how to apply for the dvd for disadvantaged families with disabled kids……. Just send an email with the information to Austinfaure@gmail.com He will need your contact information and the person or organization that you would like the DVD sent to. How can we sign up for the Molly blog? My husband and I appreciate so much your efforts and dedication. You have enriched our lives and we appreciate all you do. The 76 second play by Carlos of Austins DVD made me want to buy it! Absolutely AWESOME! I love my DVD! It is far better and more than I ever expected when I ordered it. You did a marvelous job. I also ordered two children books – one for my 5th grade classroom and the other for my grandson. Lastly, I have been enjoying my large photograph of the four babies. I would love to know which one is which. I have ordered the canvas shopping bags off of cafe press before and would LOVE it if Carlos added these bags to his line so I could have a few Molly bags for my shopping and errands. The bags are great quality and the size is so versatile. (These are different from the beach bags already in the line) PLEASE add them!!! People in Social Stream are wanting Molly The Owl windchimes. Thought I would pass on the suggestion. Our chatters in the Social Stream from Scotland want to know if you can ship merchandise overseas. Thanks! There are many chatters from Scotland on the Social Stream. The Molly DVD donated to my class arrived at school today. I went over to Kilmer and picked it up…and safely tucked it in to my desk drawer until school starts and the students arrive on September 10th. Thank you so much for your kindness. I will send a picture of my kindergarten class at the “Molly Center” as soon as possible. What a wonderful thing you and your wife are doing. I’m looking for the “Molly Watcher” yard sign – to announce that I’m a molly watcher – not the “Vote Molly” sign. Is there any other yard signs that do not say “vote Molly”? I can’t find a link anywhere except for all the “vote Molly” merchandise. Where are the items with the picture of Molly coming in for a landing – for example: the white velvet lined box. I am looking for all/any items with this picture on it. Is there a t-shirt with th is picture on it? Have you considered designing decorative flags? 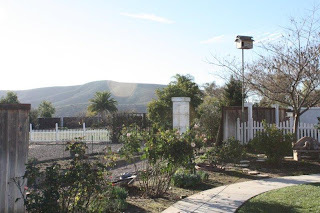 You know the kind people use in their yards – there are large versions and smaller ones. I would love to have a Molly flag. I love the site and the free downloads. I saw it in your ad but have not been able to find it on cafe press. Thanks for all you do. I love the owls. I ordered the children’s book a few weeks ago. I’m taking it that these haven’t been mailed out as I haven’t received mine yet. I did receive the DVD soon after I ordered it. Just wondering. Children’s Book will not be mailed out until sometime in October, they have not arrived yet. They have been printed. We are just waiting on the shipment to arrive. I would love to have a stuffed animal likeness of Molly and/or McGee and /or the owlets. People are always commenting on how they would just love to hold one of the fluffy owlets or give Molly a hug. I think it would be a great merchandising item for young and old MODS alike. Just another idea – I am sure you have already thought of this – The proceeds could go to an OWL protection fund. Thank you so much, Carlos and Donna! Though I don’t chat or social stream, etc., I have really enjoyed this experience and I appreciate all the work you have put into including all of us in it.. Please keep me updated on future developments! Where can I purchase the interactive greetimg cards you had on the owl box today during molly song? They were great! I loved how Molly moved fron the landing are to the box. So Cute. Carlos – how do you subscribe to your blog. I would love to hear from you later on. Could I please be notified of all upcoming owl/owlette events. The next clutch, and so forth. Molly/McGee/Ash/Carrie has been an awesome experience. Thanks Carlos and all those helping him! I just want to thank Carlos and everyone involved in this fantastic site. 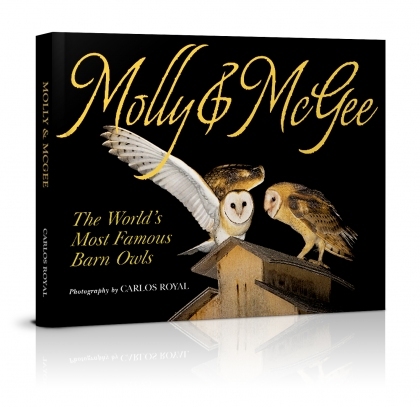 The barn owls Molly and McGee and family have been such a JOY to watch and be part of. I have the mousepad, the DVD, and the picture of Molly and McGee in my computer room. I will miss you all so much. how do I order a calendar? Anyway, want to say thank you for all the good times. Have been a Molly watcher since 1st clutch. Mostly a lurker.LOL Wish you the best. Have a great time & hope to hear from you again (clutch #3)? Thank you so much! It’s been wonderful since I found the Royal Owl Family early last spring! Please add me to your update list! Thanks for doing all this again for us. You are sooo appreciated. Would you let me know when I can expect my coffee table book, please? I’m really excited to get it. Cafe Press took down all the free downloads…is there a way to still get them? Please let us know! Thank you Carlos, Donna and Austin for all the wonderful memories. Please send email updates, I dont want to miss a thing. Thank you again Carlos. Trouble with the CafePress special discount. I put my things in the shopping cart, added your MollysGifts code to get the $10 off, and it said I got the reduced amount. Then when I paid for it, the total charged was without the discount. I’ve emailed them, but please make sure they get to the bottom of that. Have fun in Hawaii! I’ll be there next week too! I’ll look for you! Cherry trees are so beautiful! You sure capture some nifty pictures!!! I enjoyed the navigational experience really.